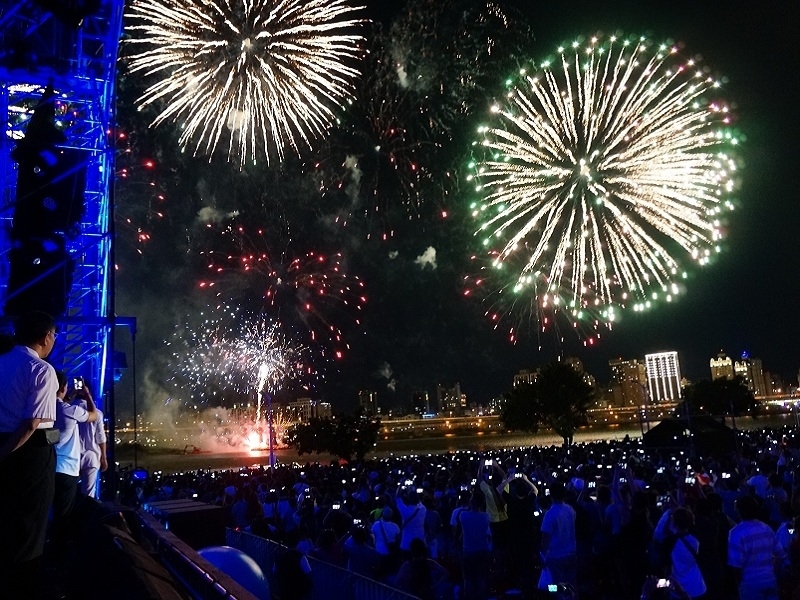 Firework show lighted up the sky of Tamsui River Source: Dept. of Information and Tourism, Taipei City Gov. Source: Dept. of Information and Tourism, Taipei City Gov. USPA NEWS - "2018 Taipei Riverside Festival", this Summer's most Free-Spirited Event will be staged from August 17 to August 19 at Yanping Riverside Park in Taipei (Dadaocheng Warf). The Department of Information and Tourism of Taipei City Government holds this 3-Day Multi-Style Music Performance with the Themes of "Classic", "Original" and "Electronic Rock". 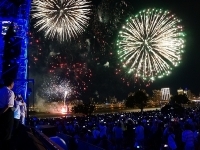 There will be Special Water Projection and Fireworks Performance on August 18 inviting Visitors to have an Unforgettable Romantic Chinese Valentine's Day. "2018 Taipei Riverside Festival", this Summer's most Free-Spirited Event will be staged from August 17 to August 19 at Yanping Riverside Park in Taipei (Dadaocheng Warf). The Department of Information and Tourism of Taipei City Government holds this 3-Day Multi-Style Music Performance with the Themes of "Classic", "Original" and "Electronic Rock". There will be Special Water Projection and Fireworks Performance on August 18 inviting Visitors to have an Unforgettable Romantic Chinese Valentine's Day. In addition to Good Music and Fireworks, there will be Mobile Catering Vans, Craft Booths and Beer & Food Zone in the Afternoons of August 18 and 19. Moreover, there will be a Local Creative Market of the Dadaocheng Area and some Popular Facebook/ Instagram Check-In Locations as well. Taipei City invites everyone to make Friends from all around the World. From August onwards, there will be Two Special Tours for Visitors to explore around the Dadaocheng Area and Experience the Atmosphere of Old Taipei City every Weekend. A Map of Tourist Activities will also be issued to introduce Specialty Shops and Special Offers around the Dadaocheng Area. Stroll along the River Banks of Taipei and enjoy the Refreshing Beer and Deep Love this Lovely Summer.